When in Ujjain, Remember to Take a Boat Ride on The River During Sundown For The Most Surreal Experience Ever. Considered as one of the holiest cities for Hindus, the ancient town of Ujjain is situated at a distance of 56km from Indore in Madhya Pradesh. The city sits on the bank of the sacred river Shipra which is the centre spot for a lot of activities. 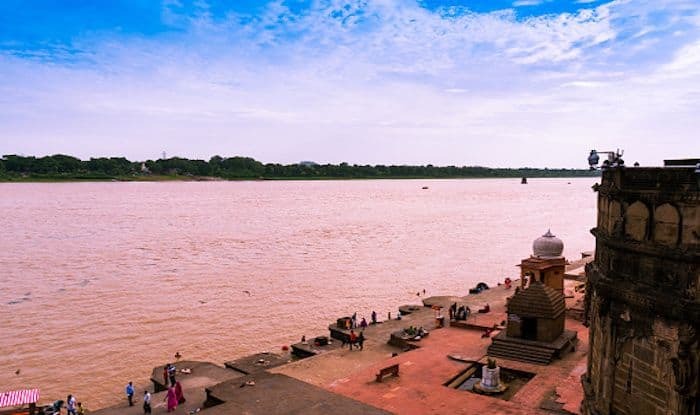 The first thing to do in Ujjain is to take a boat ride from Ram Ghat. It’s the best way to soak in the spirituality and indulge in some peace before you experience the surreal evening aarti. Ram Ghat holds an important place among the Hindu devotees because the world-renowned Kumbh Mela is held here every 12 years. Besides, the ghat is dotted with countless old and new religious structures that make for interesting sites to explore both for traveller and pilgrims. Another important festival that is held here is Maha Shivratri. Ujjain is home to one of the 12 Jyotirlingas in India, hence making it a preferred ground for celebrating the festival in a big way here. Thousand of pilgrims flock to the fair ground near the Mahakal temple to worship Lord Shiva every year. Due to its location, the climate of the city is tropical in nature; hot in summers and cold in winters. However, the climate shouldn’t deter you from exploring the plethora of temples all over the town. The most notable are the Mangalnath Temple, situated exactly where the first meridian is said to pass the earth; Chintaman Ganesh Temple that is said to have been established by Lord Ram himself; Gopal Mandir, a temple devoted to Lord Krishna and the Mahakaleshwar Temple, primarily famous for the Bhasma Aarti held at dawn everyday. Apart from the temples, the other structures of Ujjain too merit far more than a casual look. As is said, Ujjain’s houses are like palaces and its palaces are like mountains, and the best way to savour them is to travel slow here. Don’t miss out on Mandu, a town 152km from Ujjain. Visit Taj-ul-Masjid, Shaukat Mahal, Rupmati’s Pavilion, and Hindola Mahal, which tell the tales of the erstwhile kings and queens of the region. Then there’s an archeological site called Agar situated 66km from Ujjain; and Ratlam – a town famous for its cactus garden that should also not be missed. The nearest airport from here is at Indore about 55km away.